A book that begins as a straightforward biography of a little-known figure in Native American history devolves, alas, into a self-satisfied New Age treatise. 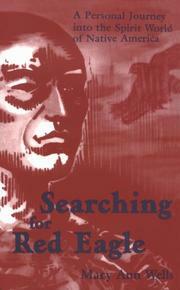 Wells, a mixed-blood historian from southern Mississippi, details the life of William Weatherford (1775—1824), also known as Red Eagle, who disavowed his Scots and French ancestry in favor of his Creek heritage to become a leader of resistance to white encroachment on his Georgia homeland. Wells’s skill in crafting biography is solid, and her command of regional and Native American history is also generally strong, although she undermines her case by making any number of questionable assertions about the Europeans who eventually defeated Red Eagle’s warriors. (Were all the children of Europe, as she writes, really possessed by —gluttonous appetites for land ownership, personal wealth, and power—? Historians Philip Deloria and Jill Lepore have recently shown this was not the case.) But Wells isn—t truly interested in the meat of history, meaty though this story is. Instead, she wants to use the vehicle of Weatherford’s difficult, dramatic life to illuminate hers. Accepting Weatherford, a distant forebear, as something of a spirit guide, she embarks on —a personal journey in search of an ethereal identity which I believed was simply genetic but which was in reality spiritual.— That journey lifts Wells’s book out of the history genre and plants it in fiction. Along the way, she relies on dream sequences, invented dialogue, and sundry anachronisms to forge her own version of Dances with Wolves, in which inherent Native American goodness is destroyed by inherent Anglo-Saxon badness. The result is a soulful mess. And it’s too bad, for Weatherford’s story deserves a popular retelling. Wells seems too smitten with her own reflections on this strangely tragic career to impart any meaningful larger lessons.